All tracks written, performed, produced and mixed in 1998-2013 at Mirkmoon St. & Merman’s Lair. Packaged in a digisleeve with 16-page booklet. 1-2 & 1-3 originally released as ReuTRauM I 7" (Fronte Nordico, 2012). 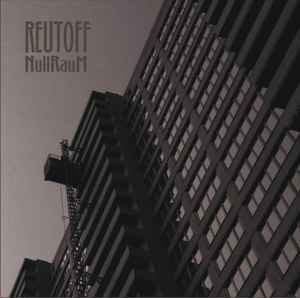 1-4 & 1-5 originally released as ReuTRauM II 7" (Kaos Kontrol, 2003). 1-6 & 1-7 originally released as ReuTRauM III 7" (Hau Ruck!, 2001). 1-8 & 1-9 originally released as ReuTRauM IV 7" (Drone, 2000). 2-1 & 2-2 originally released as ReuTRauM V 7" (Divine Comedy, 2003). 2-3 & 2-4 originally released as ReuTRauM VI 7" (Blade, 2002). 2-5 & 2-6 originally released as ReuTRauM VII 7" (Ewers Tonkunst, 2012). All other tracks created for this collection.